Parameters of additional statistical processing of measurements series Maximum, minimum, mean square deviation from average value, average value. 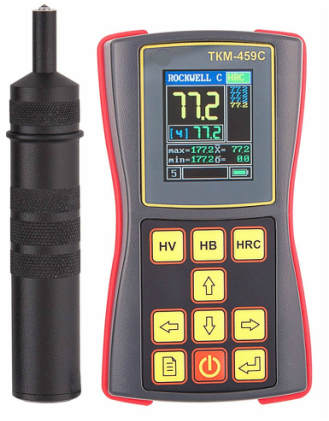 Measurement results overrunning alarm (model type ТКМ-459С only) Color. Check limits to be set up by the user for each individual scale. Types of limits: greater, less, overrun. Hardness tester power supply Autonomous, battery. Use of equivalent non-rechargeable batteries allowed.